You can save thousands of dollars on installing solar panels if you qualify for a solar rebate, subsidy or grant. For example, the Victorian Solar Homes program will be extended for 2019. Find out more about the program and fill out an inquiry form by visiting our Victorian Solar homes program page. The Small-scale Renewable Energy Scheme can save you thousands of dollars on a solar panel system. Learn more about incentives and solar panel rebate programs for home system installations. Remote location? Switch on to renewable energy and get substantial solar rebates in the form of a point of sale discount – save thousands! Current business incentives include tax breaks, RECs, feed in tariffs and other forms of support. Save a bundle! page shows some of the many rebates, incentives and financing options available. Community groups can utilise the power of the sun to power community buildings and take advantage of generous subsidies on installation of a grid connect or off grid solar energy system! Using solar hot water not only means ongoing savings in water heating, but generous government solar hot water rebates can save you a ton of money on your initial purchase! The Renewable Energy Water Pumping scheme provides rebates for the renewable energy components of water pumping systems that displace diesel engine powered pumps in off-grid applications. A feed-in tariff is a premium rate paid for electricity fed back into the mains grid by a rooftop solar power system. You can sell electricity back to the power company! Residents of participating Australian solar cities are offered financial incentives and support, the level and type of benefits varying from project to project. Information on, rebates grants and other subsidies to support the purchase of battery systems. A brief summary on the various solar rebates programs is below. Please don’t hesitate in contacting the Energy Matters team for expert advice on rebates that may be applicable to you! In addition to rebates and renewable energy certificates, find out here how your system installation could be financed and actually generate income for you with the help of the feed in tariff! 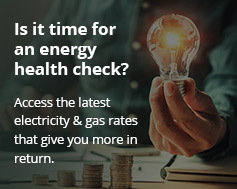 The Solar Credits Program is still in effect and can save you a substantial amount on installing a grid connected PV system! Home owners, small businesses and community groups are all eligible for this Australian solar panel subsidy and no-one is means tested under the scheme. Subsidies are also available for installing stand alone power systems under the Solar Credits program. While government grants are no longer available; schools can still benefit from the Solar Credits rebate. Business owners can save substantially on the price of a grid connect solar power system installation through the Solar Credits up front discount! Other incentive programs covering business situations currently include huge tax breaks, RECs and feed in tariffs. For businesses considering installing a solar power system of 20kW capacity or greater, tax breaks and STC’s are available, along with some industry specific assistance and also low interest rate loans. More information on commercial scale solar incentives. The Renewable Energy Water Pumping Sub-Program provides rebates for the renewable energy components of water pumps that displace diesel engine powered pumps in off-grid applications. Rebates of 40% of the capital cost of the renewable energy components minus $1,000 are available to applicants that fully comply with the eligibility requirements and procedures outlined in the guidelines. Solar hot water systems may be eligible for Small-scale Technology Certificates (STCs), which are usually exchanged with retailers for a point-of-sale discount on systems. You may also be eligible for state government rebates.